1 Thank you to all who contributed to the bid! 5.2 Wikimedia 2013 London Fundraising Strategy: The "Why"
5.3 Wikimedia 2013 London Fundraising Strategy: The "How"
5.4 Wikimedia 2013 London Fundraising Strategy: The "Who"
Thank you to all who contributed to the bid! If you'd be interested in helping to bid for or run a Wikimania in London in 2014, sign up here! London is a leading global city, with unparalleled access to leading cultural institutions, high quality speakers, fundraising opportunities and the international media. The United Kingdom is home to one of the largest and most active Wikimedia communities in the world, and the local chapter is headquartered in London and is very active running local events and partnering with cultural institutions. The organising committee is half longtime wikipedia editors and half individuals with significant experience running large events. London also boasts several organisations whose mandate is in part to provide support for international conferences: The Mayor's Office, London & Partners, TechCity & London First have all pledged logistical and fundraising support for our event (see below). The venue we've chosen is The Barbican - a stimulating, characterful venue that is the largest performing arts centre in Europe. Amongst other facilities, it has two theatres, two art galleries, two resident orchestras, three cinemas, a large library including a dedicated arts library, music library and historical book collection, three restaurants, a handful of bars, and the second largest conservatory in the city. We'll have it all to ourselves for the weekend. Industrial strength wifi (sponsored by Cisco), 24h access to the venue, and an impressive selection of large and small auditoriums, conference suites, meeting rooms and informal gathering spaces, with regular and varied onsite catering. Seven simultaneous conference tracks and some very impressive keynote speakers, and for those unable to attend in person; livecasting, live projected backchat and an edited version released online same day. London is the capital city of England and the United Kingdom, the largest metropolitan area in the United Kingdom, and the largest urban zone in the European Union by some measures. London is a leading global city, with strengths in the arts, commerce, education, entertainment, fashion, finance, healthcare, media, professional services, research and development, tourism and transport all contributing to its prominence. It is the world's largest financial centre alongside New York City and has the fifth-largest city GDP in the world (and the largest in Europe). It has the most international visitors of any city in the world and London Heathrow is the world's busiest airport. London's 43 universities form the largest concentration of higher education in Europe. In 2012 London will become the first city to host the modern Summer Olympic Games three times. London is one of the greenest and most scenic major cities in the world. Famous landmarks in Central London include (in no particular order) St Paul's Cathedral, Big Ben, The Palace of Westminster, Buckingham Palace, Nelson's Column, Trafalgar Square, The Tower of London, Tower Bridge, the London Eye and the 'Gherkin', the main shopping streets of Oxford Street and Tottenham Court Road, as well as public squares, many museums and a very wide range of restaurants at all price ranges serving all the world's cuisines. Open-top buses operate sight-seeing tours constantly, especially during the summer, and organising one as a breakout event for Wikimania should be no trouble. More specialised tours include boat trips on the River Thames and buses that can operate as boats ("duck tours"). Wikimedia UK already has good relations with several cultural institutions in London, including the the British Museum (above), the British Library so an event for those interested in GLAM could easily be arranged. There are approximately 6,100 licensed restaurants in London - 22% of the restaurants in the whole of Great Britain. This includes 36 Michelin star rated restaurants and covers over 50 major country cuisines. London has 3,800 pubs and 233 nightclubs. Many venues are open after midnight. You will often hear London described as a collection of villages. Local shops, markets, parks, and leisure venues foster a feeling of local community within a conurbation of seven million people. Some areas have a particularly strong identities and associations making London a world in one city. A panorama of London, taken from the Golden Gallery of St Paul's Cathedral. Attendees of the 50th London meetup, held in October 2011. The United Kingdom is home to one of the largest Wikimedia communities in the world. The local chapter, Wikimedia UK, which has recently been granted registered charity status, is one of the larger and more experienced Wikimedia chapters. It has supported a wide array of events in the United Kingdom, and has a strong track record of productive collaborations with cultural institutions such as galleries, libraries, archives, and museums (GLAM) as well as in broader outreach and educational projects. In 2011, Wikimedia UK supported events at the British Museum and the British Library in London, and collaborations with the Victoria and Albert Museum and The National Archives are in the works. Outside the capital, events have also been held in Bristol, Coventry, Derby, Manchester, Brighton, Cambridge and Liverpool, as well as Scotland. The chapter has an ambitious schedule of events lined up for 2012 and beyond, including smaller conferences and an OTRS workshop in addition to more GLAM and outreach events. The UK Wikimedia community is most active in and around London. The community is tight-knit, and the regular London meetups often attract a good turnout, including Wikimedians from a wide array of on-wiki and off-wiki backgrounds. These meetups started with the first ever Wikipedia meetup and have for some years been monthly. The London meetup is among the most regular as well as being the longest-running Wikimedia meetup in the world (our fiftieth was in October 2011) and are an excellent venue for discussing grand ideas like this one. The fifty-first London meetup, held in November 2011, was attended by Sue Gardner and several other members of Foundation staff, after which Sue went on to give a talk at Imperial College London. Ed Saperia Event & Bid Coordinator I have many years of event experience and a great many useful London contacts and resources. Jimmy entrusted me to organise the London VIP Wikipedia 10th Birthday party. My initial role will be overviewing the event design and programme and negotiating with venues. James Knight Speakers & Presenters Coordinator Investment Banking background with experience in events organisation. Currently working for a start-up company in Shoreditch while pursuing other projects. Harry Mitchell Asst Bid Coordinator English Wikipedia admin, some small-scale event-management experience, can handle some of the logistics, will most likely have attended Wikimania 2012 and some smaller Wikimedia conferences by 2013. Marek69 Community Coordinator I am an editor on the English Wikipedia. I have attended Wikimania in 2010 and 2011. TheConwayGame Fundraising & Corporate Sponsorship Professional background in investment banking, principal investments and private equity. Experience of fundraising. Anastasia is working on the bid as a volunteer. Her primary areas of responsibility are fundraising and securing strategic participants/contributors to the event, i.e. helping Wikimedia UK secure all the resources necessary for a successful bid. Lauren Cahill Asst Event Coordinator I work in events, predominantly festivals and bespoke events, I met Ed at the Wikipedia fundraiser which he held in 2010 and am using my experience and contacts to assist with the logistics and develop a strong programme of immersive events for Wikimania 2013. Chase me ladies, I'm the Cavalry (Richard Symonds) I'm the Office & Development Manager at Wikimedia UK, although I am helping this bid as a volunteer. I'm well known on the English Wikipedia, which I have been editing since 2005. Rock drum General help English Wikipedia editor of 2+ years and editor of This Month in GLAM. Organised small-scale, local events before. Languages: en-N, de-1, es-1. Imogen Pickles General Help Experience in running smaller scale events, volunteering here wherever I'm needed. Tom Morris English Wikipedia admin, have helped with BarCamp London. Significant work is needed to make a sensible timeline, as each stream will have its own difficulties. Just making one up is meaningless - better to acknowledge that we don't yet know, but putting together a timeline will be one of the first tasks. We would start with the timelines in previous years, and then look at the feedback and difficulties they had. We'll then take advice from professional event organisers. We'll have a dedicated project manager, which should help. Offer a mailing address and mail centre for communications. London & Partners has a dedicated events team to assist in the running of major sporting and cultural events in London, ranging from World Badminton Championships, NFL London to the Olympic Games. For large scale events simular to WikiMania they can assist with facilitating airline and hotel partnerships, assist in venue procurement and coordinating marketing and communications. London & Partners has strong associations with Transport for London, The Mayors Office, The London Fire & Emergency Planning Authority, Arts Council and London Cultural Consortium. Support from London and Partners. Support from Tech City UK. The Foyer is huge, although it naturally splits into many smaller areas over three levels and so never feels cavernous. It has several bars and cafes in it, as well as lots of seating areas. Parts of it can be used as exhibition space, and to set up seating and turn into presentation areas, and meeting and mingling spaces. It opens out onto Barbican Lakeside, a sizeable outdoor seating area that is next to an artificial waterway with fountains. It also includes dedicated cloakroom and registration facilities. Adjacent to the foyer is Barbican Hall, which is the primary auditorium for the venue. It has a capacity of just under 2000. The Conservatory is a large indoor garden, home to finches, quails, exotic fish and over 2000 species of tropical plants and trees. It has a large glass roof and has capacity for around 150. It's above the Foyer. The Conservatory Terrace overlooks the main conservatory, and can accommodate around 200. We think this would be a spectacular place to hold the hackathon, with the main conservatory as the breakout space. The Garden Room adjoins the Conservatory and also has floor to ceiling windows overlooking Barbican Lakeside. It has capacity for 250, and we think it would be a good place to do the main catering for the conference. On the same floor as the Conservatory Terrace, there are the conference suites. These are two large rooms that hold 170 each. Beside the conference suites, there are two auditoriums that hold 246 and 143, which we'll treat as part of the same grouping. We propose the "Public Talks" as a track set in the main auditorium that is open to the public over the Saturday and Sunday with more of an outreach aim in mind. The Main entrance at Silk Street is ramped and lifts give access to all levels. All the auditoriums have seating for wheelchair users. There are three wheelchairs for visitors' use. An induction loop is provided in the Concert Hall and Cinemas, and a radio network system is provided in the Theatre and Pit. Assistance dogs may be taken into the auditoriums. Adapted WCs are provided on levels -2, -1, G, 1, 2, 3 & 4. Founder of Wikipedia and co-founder of Wikia, Jimmy customarily gives a keynote at Wikimania events. Clay Shirky is an American writer, consultant and teacher on the social and economic effects of Internet technologies. He has written and been interviewed extensively about the Internet since 1996. His columns and writings have appeared in Business 2.0, the New York Times, the Wall Street Journal, the Harvard Business Review and Wired. He is a member of the Wikimedia Foundation's Advisory Board. Stephen John Fry is an English actor, screenwriter, author, playwright, journalist, poet, comedian, television presenter & film director. He is best known for hosting topical news panel QI and in various roles on Blackadder. Fry is an avid technology blogger and a strong supporter of Wikipedia. Sir Timothy John "Tim" Berners-Lee, is an English computer scientist, MIT professor and the inventor of the World Wide Web. Berners-Lee is the director of the World Wide Web Consortium (W3C), which oversees the Web's continued development. He is also the founder of the World Wide Web Foundation, and is a senior researcher and holder of the 3Com Founders Chair at the MIT Computer Science and Artificial Intelligence Laboratory (CSAIL). He is a director of The Web Science Research Initiative (WSRI), and a member of the advisory board of the MIT Center for Collective Intelligence. As a pre-conference welcome to our hackathon delegates we have arranged to host an event at Google Campus London. It will provide a unique opportunity for delegates to mingle with the best and brightest from the London start-up scene including individuals from TechHub, Springboard, Seedcamp, Central Working and of couse Google itself. We plan on transporting delegates to the London Science Museum, located in the heart of South Kensington, one of the most culturally rich area of London. The museum is located on Exhibition Road, which hosts other famous venues such as Natural History Museum, Hyde Park the Royal Albert Hall, Imperial College London, the Victoria and Albert Museum, the Royal Geographical Society, the Royal College of Art, the Royal College of Music and Baden-Powell House. The Science Museum now holds a collection of over 300,000 items, including such famous items as Stephenson's Rocket, Puffing Billy (the oldest surviving steam locomotive), the first jet engine, a reconstruction of Francis Crick and James Watson's model of DNA, some of the earliest remaining Steam engines, a working example of Charles Babbage's Difference Engine (and the latter, preserved half brain), the first prototype of the 10,000-year Clock of the long Now, and documentation of the first typewriter. The event will kick off at 7pm featuring canapés, drinks and a three course meal spanning three of the main galleries of the museum, one of which features a fully functioning Corliss steam engine. Transportation back to the Barbican centre will be provided at regular intervals throughout the evening. We have confirmed interest and received quotes from several production & catering companies including Wise productions and Payne and Gunter. On Saturday evening we propose an evening of comedy and music hosted within the main hall of the Barbican. To those not familiar with British comedy, you will be treated to the often deadpan and self-deprecating humour which is synonymous with British culture. At present we have confirmed interest from Matt Parker (pioneer of Standup Maths), spoken word artist Scroobius Pip and Sxip Shirey in addition to being in talks with several acts including such household names as David Mitchell, Dara Ó Briain and Russell Howard. Tate Modern, the most-visited modern art gallery in the world, with around 4.7 million visitors per year. Guests will be taken on a guided walk or open top bus tour from the Barbican Centre, where there will be an evening of canapes, cocktails and guided tours of the gallery. Tate Britain, via boat trip down the River Thames. Tate Britain is the national gallery of British art from 1500 to the present day, with the most comprehensive collection of its kind in the world. Both venues have a number of options for event hosting and we have arranged site visits and received quotes for both venues. All conference delegates will be given a standard 5-day London travel card which gives them 24/7 access to the London Underground, Bus Network, DLR, Overground & tram services. London is one of the most dynamic and fascinating cities in the world and we wish to give our delegates the full opportunity to experience the city. We are currently in talks with organisations such as Visitlondon.com (the official London guide) and The London Pass to provide delegates with discount access to London's top sites. 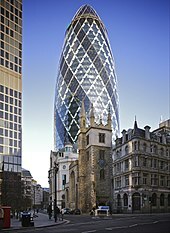 London has over 240 museums and galleries (List of London Museums) all of which are open free of charge to the public. On days either side of the main conference we aim to get delegates actively involved in these communities. Our logistics partners are currently contacting local hotels and universities finding pricing for block bookings. London First has offered to connect us with the Chancellors / Vice Chancellors of any of the major universities in London (there are over 40 currently working with London First). It is likely we can potentially secure large concentrated areas of accommodation for delegates at cost price. One of the main advantage of using student accommodation is that they typically have high speed / reliable internet access. University of Westminster has halls near Old Street (Alexandra Fleming), walking distance to the venue. Kings College has a block of 750 rooms at London Bridge, 2 stops from the venue on the underground. "Good afternoon, Thanks for your email. I have spoken to the operational manager of our properties in London and the head of sales, and we have agreed an overnight rate of £40 per person per night. This includes your overnight accommodation breakfast, WIFI and towel hire. How does this sound to you? Please can you also confirm your thoughts on the room sizes too? Thanks, Kind regards, Laura, Youth Hostel Association"
The Youth Hostel Association have offered us over 1200 beds for attendees in Central London Youth Hostels, meaning that we will have guaranteed low-cost accommodation prebooked for all attendees. Hostels are typically a low budget option easily available for the majority of attendees. The closest YHA hostel is ten minutes walk from the venue and has 210 beds. London City Airport - The smallest of London's three main airports. National Express operate coach services from Victoria Coach Station and other points to destinations across the UK. Through their Eurolines subsidiary they also run coach services to London from destinations across Europe. Many other companies run coach services to London from other European cities. Heathrow Airport has a direct connection to the Piccadilly Line of the London Underground, which is considerably slower but considerably cheaper than the Heathrow Express (see below). The nearest Underground station to the venue is Barbican. Other stations nearby are Moorgate, St Paul's, Bank, Liverpool Street and Old Street. All but one of Central London's rail termini have a direct connection to the London Underground. Different stations are on different lines, but all lines intersect, and the Barbican can be reached from every inner-London Tube station without needing to change more than once. The Tube Map provides a colour-coded schematic of the London Underground, London Overground, and DLR networks. Copies are available for free at every Tube station and most Tourist Information Centres in London, as well as on the Transport for London website. Central London has 13 terminal stations. Most passengers travelling by rail from within the UK will arrive at one of these and would be advised to change to the London Underground to complete their journey. Heathrow and Gatwick airports both have dedicated express train services that run non-stop into Paddington and Victoria respectively, where passengers can change to the London Underground for the final leg of their journey. Eurostar operates high-speed services from Paris and Brussels to London St Pancras. A more expensive option than public transport, especially for those travelling from the airports. There are companies that specialise in private hire between airports and Central London which may be cheaper, but these usually require pre-booking. London's cyclists enjoy a cheaper, and often quicker, way around town than those by public transport or car, and as many trips in London are local, these can easily be done by bike. As London's public transport system is over-stretched at peak times cycling can be a cheaper, quicker and more pleasant alternative. From July 2010, 6,000 bicycles are available for short-term rental from Transport for London under the Barclays Cycle Hire scheme at 400 docking stations in nine central London boroughs. The nearest tube station to The Barbican is Barbican underground located on the Circle, Metropolitan and Hammersmith & City lines, however the venue is also within walking distance of Moorgate, Liverpool Street & St Pauls stations. Bus routes near the Barbican are 8, 11, 23, 26, 35, 42, 43, 47, 48, 55, 56, 76,78, 100, 133, 141, 149, 153, 172, 214, 242, 243, 271, 344 (7 days a week); 4, (Mon-Sat); 21, 25, 521 (Mon-Fri). The Barbican has 4 car parks capable of holding several hundred vehicles. NOTE: The Base Case budget has been prepared in consultation with a range of industry professionals (event programming, technical and A/V conference support, PR, etc.). The final version to before the bid deadline with quotes attached. £15,000 £10,000 VIP Travel 15 return flights at £1000 each, currently negotiating with major airline to reduce costs. £54,000 £32,000 Science Museum Social Event Including set dinner & drinks £12,000 for Venue Hire, £30,000 for Food / Drink, £2000 Coaches. £10,000 £10,000 Barbican Saturday Night Social Event Most of the cost included in venue hire, All talent has provisionally agreed to work for free, set designer on the team, this cost represents the production team / stage manager for the evening. £50,000 £35,000 Tate Modern Social Event Includes Venue £20,000 and Food/ Drink at £30,000. Currently negotiating for venue hire at cost. £20,000 £20,000 Giftbags Inclusive of sponsor products, publications e.g. Wired magazine (Provided free via London First), Conference Memorabilia (Stickers, t-shirts etc) for the Wikipedia track ~ 2000 people at £10 each. £0 Sponsorship We have chosen not to predefine the number of sponsorship available at each tier. Instead bespoke sponsorship agreements will be negotiated. Wikimedia 2013 London Fundraising Strategy: The "Why"
Wikimedia 2013 London Fundraising Strategy: The "How"
The Wikimania 2013 London bid's fundraising strategy was developed with the objective of giving the Wikipedia community the best possible chance of bringing its members together in a high-quality, stimulating environment, whilst creating strong engagement with the public and increasing Wikipedia's outreach. Wikimedia 2013 London Fundraising Strategy: The "Who"
The fundraising focuses on three core groups: media/telecom/tech companies, charitable foundations, and financial services companies. The Wikimedia sponsor offering will be tailored specifically to each group in order to maximise sponsorship opportunities for Wikipedia community. London Wikimania team has embarked on the preliminary conversations with the initial investor list. A list of candidates is detailed below. Anastasia Andrianova: Professional financial background (6 years in Investment Banking, Asset Management and Private Equity, latterly at Lehman Brothers), experience includes institutional fundraising. Successful fundraising track record at a start-up level. Wide network of potential sponsor relationships. Ed Saperia: Professional financial background (4 years in Investment Banking at Barclays Capital), Investment Programme Manager at TechHub. London First (Andrew Tibbett) Business membership organisation mandated to promote London as a global hub. Coordinated successful bid for 2012 Olympics. 2011 progress report. Currency exchange desks are available at all London airports, as well as at the Post Office and most banks and travel agents. Australian Dollars, Canadian Dollars, Euros, Japanese Yen, Polish Złoty, Swedish Krona and United States Dollars are all widely exchanged; other currencies are usually exchangeable at the airports. A list of the current exchange rates of these and other important currencies is below. Credit and Debit cards from banks round the world will work in cash machines in London - check with your bank. London is an important financial centre. Your bank may well have a branch here; many overseas banks do to serve their diaspora community here. London has a temperate oceanic climate, and interestingly receives less precipitation (with 601 mm in a year), than Rome at 834 mm, Bordeaux at 923 mm, Toulouse at 668 mm, and Naples at 1,006 mm per year. Summers are warm and sometimes hot, the heat being boosted by the "Urban Heat Island Effect" making the centre of London at times 5 degrees Celsius warmer than the suburbs and outskirts. London's summer average is a comfortable 24 degrees Celsius. London is a city where all nationalities, religions, and sexualities are welcome to visit without threat or worry about the possibility of 'issues' with the local population, police or security services. London is the most cosmopolitan city in the world with every nationality, culture and language represented in our schools and everyday lives, (and which also gives us the widest range of cuisine at all prices!) Similarly lesbian, gay, bisexual and trans (LGBT) people will find a safe and public welcome here without any risks from their public or private actions, just as there are places of worship for a wide variety of religious groups and denominations. This is a country that welcomes and supports free speech and free expression. London itself has excellent transport connections to the entire world by air, and by road and rail to the rest of the UK and to Continental Europe; the venue can be reached in less than an hour from all three of London's main airports. The UK is the country which contributes the third most edits to Wikipedia as a whole. (some rough statistics), making its editors the most active from a country which has not yet hosted Wikimania, as well as one of the highest contributors per capita overall. British Wikimedians have been at the forefront of GLAM partnerships and outreach. In London, there have been partnerships with the British Museum, British Library and the Victoria and Albert Museum. British Wikimedians have also been involved in other collaborations outside London: the Herbert Art Gallery and Museum in Coventry, the National Museum of Scotland and the Monmouthpedia collaboration. London is home to some of the world's biggest broadcasters and publishers. The UK's largest radio group - Gcap Media - are based in Leicester Square. Fleet Street is home to some of the oldest and most prestigious titles whilst the relatively new in comparison Canary Wharf is the UK base for many of the world's biggest FTSE100 companies as well as the Trinity Mirror publishing group. London is also home to a wide range of highly prestigious broadcast radio stations including Capital 95.8 (official station of the 2012 Olympics) and major UK national stations such as Virgin Radio, Talksport and Classic FM. The world famous BBC (British Broadcasting Corporation) is also based at numerous sites in London including Television Centre and Broadcasting House - two of the most renowned and historic media centres in the world. Expense - London can be an expensive city at the best of times. Proposed solution - Attempt to have whatever we can subsidised by our sponsors. This may mean donations in kind rather than monetary donations. Accommodation This could be the biggest problem. This is the height of the tourist season so everywhere will be expensive. There is lots of student accommodation in London but it is all let to tourists in summer so will not be available cheaply to us. Food Around the Barbican there are a mixture of expensive and cheap eating places and a wide range of cuisine at competitive prices. We will issue attendees with a guide (in collaboration with Travelwiki?). Museums and galleries and monuments State and municipal Museums and galleries are mostly free though you have to pay for the Tower of London and Westminster Abbey and for privately run commercial attractions such as Madame Tussauds and the London Dungeon and for plays, concerts and movies. We should be able to get money off vouchers for many of these to give to attendees. England is too English oriented. Only 3.1% of edits from the UK are to other languages besides English - the lowest percentage of any country Wikipedia:Edits by project and country of origin. Coming after Wikimania being held in Washington DC this could be a disadvantage. London is too big. Wikimania will be just one small event and will not get as much attention as it would in a smaller venue. Wikimania is as big as we dare make it. We have enough media contacts and PR resources that we could publicise this extremely well, especially within e.g. the tech community. As long as we are clear what we aim to get out of the coverage surrounding the conference, there's no reason why we shouldn't be able to achieve those goals. The proposed venue at The Barbican Centre is in a great location surrounded by lots of different tube stations, making it one of the easiest places to get to in London. Guidance will be available on using the Underground System for all attendees. Negotiate with London Tourism and about placing signs at Airports and Mainline stations where people will arrive, with guidance (and QRpedia codes?) on how to get to the venue. Email attendees a Tube Map and/or directions from their point of arrival in the UK to the station? Have staff/volunteers in highly visible, Wikimania-branded clothing on hand at airports/major public transport interchanges to provide directions and assistance to attendees (or to collect groups of people and take them to the venue)? While it is difficult to get the cheapest train ticket (as it is for cheap flights) it is straightforward to get a ticket. We will provide info to help those who need the cheapest ticket to find it. Others will pay a little extra and still get here. Give attendees the option, when registering online, to request their tickets in advance? Have staff/volunteers on hand to give out pre-booked tickets and/or assist attendees in purchasing tickets on the day? Dedicated branded tickets/Oyster cards for attendees (would require discussion with TfL)? I support the London bid for Wikimania 2013. ↑ "The startling success of Tate Modern". The Times. 24 April 2010. Retrieved 19 October 2010. This page was last edited on 16 April 2015, at 11:28.